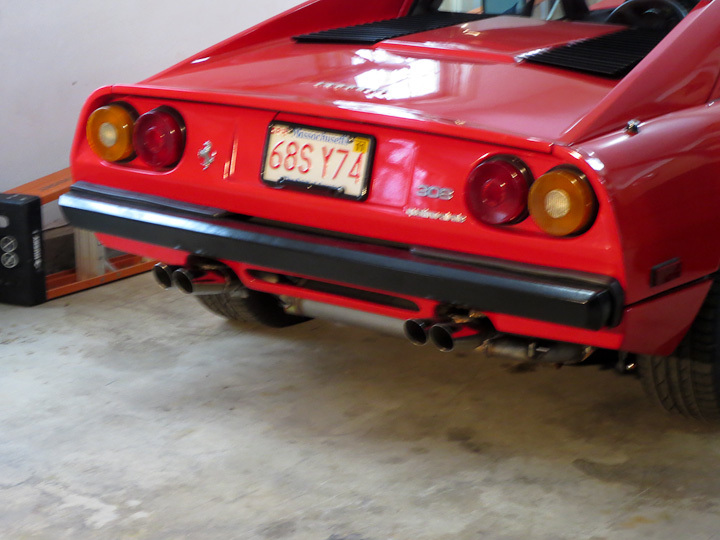 If you saw my previous post were I shared the start of this project, building a stainless steel exhaust for my friends Ferrari 308 quattrovalvole, you may recall it was left unfinished until the rest of the car restoration work was completed. 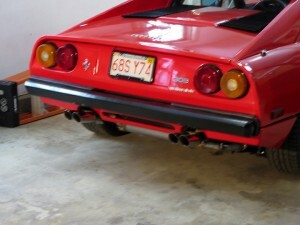 With the car recently back on it’s wheels, I went over for a visit and we finished up the exhaust. 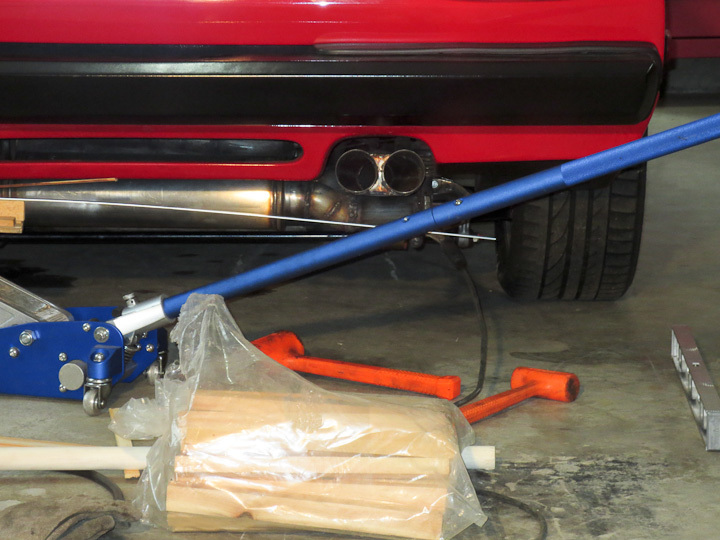 All that remained was the very careful alignment of the tips and the exhaust pipes from the mufflers back. 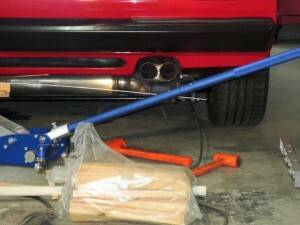 Getting everything perfect takes a lot of careful alignment, measuring and welding. We ended up cutting the tack welds off twice in an effort to get everything exactly lined up and picture perfect. 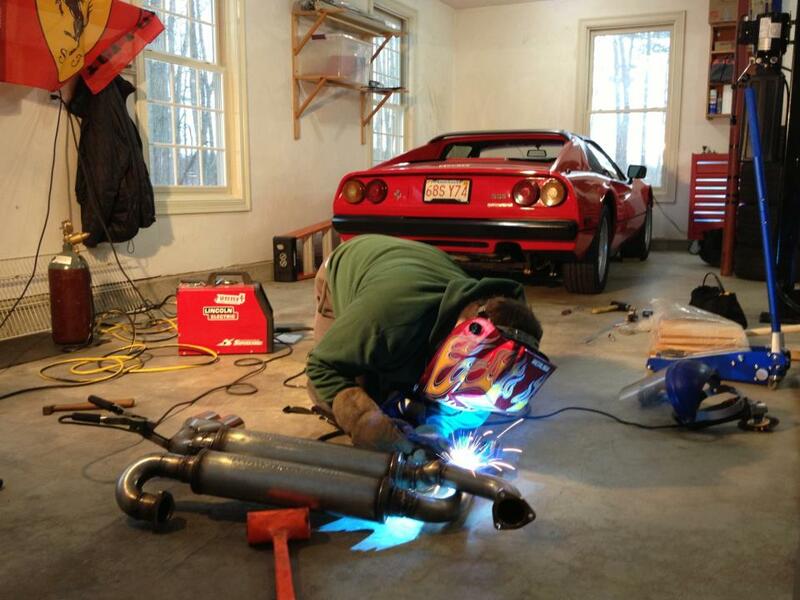 Working on a Ferrari is a bit different then on a modern production car. Each one of these cars was hand built by some Italian Ferrari employee. 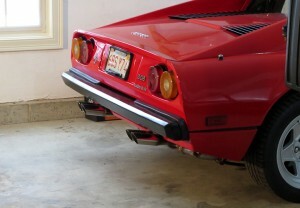 The fiberglass is a bit off from side to side as is the alignment of bumpers etc. This means you can not rely on measurements alone but also need to do careful visual inspection from a variety of angles. We enlisted the aide of my friends wife to help check the appearance of the tip location. 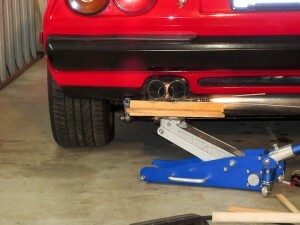 We also took some time away from the garage when we thought we had it aligned perfectly. It is good to separate yourself a bit from a project and then come back to it when it requires visual and aesthetic perfection. When everything was perfect, I added a few more spot welds, then we carefully pulled the complete exhaust out of the car and I finished welding up the joints with it removed from the car. 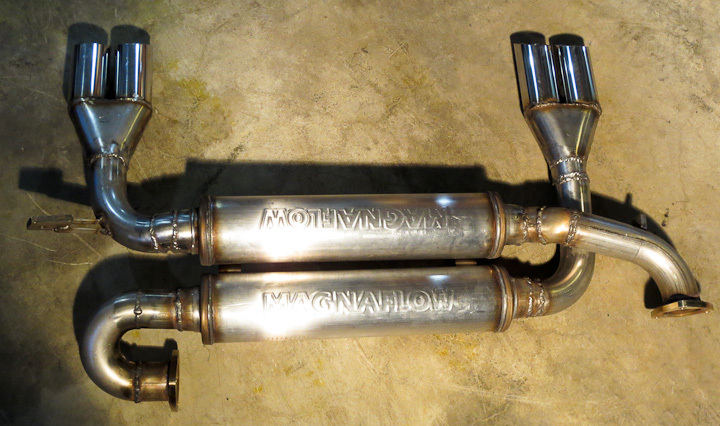 The finished exhaust looks pretty good. It will get the welds ground down and then be polished up as time permits but for now it is back on the car allowing it to be driven. 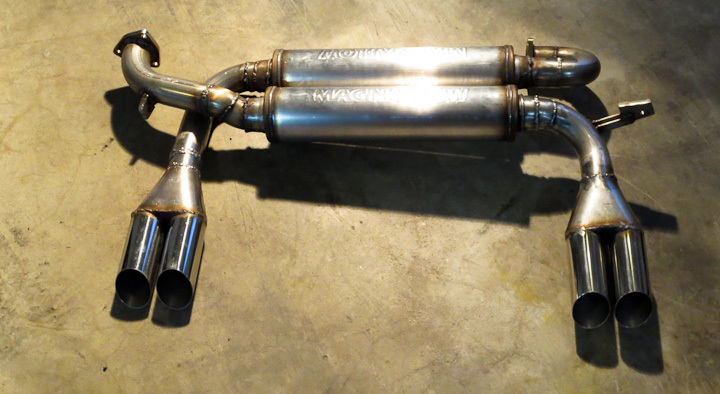 When all is said and done, I’m proud to say I built this exhaust. It looks good. As for how it sounds, well that will have to wait. 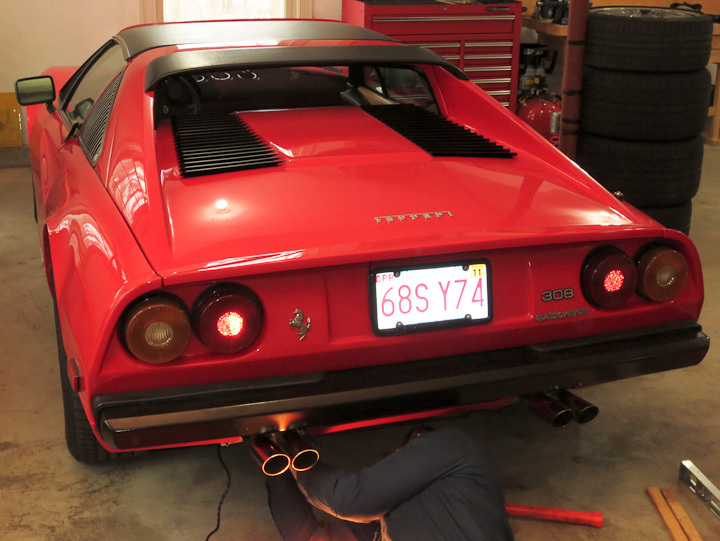 The battery was completely dead when we went to fire it up after putting the exhaust on the final time. I promise to share a video with the sound of it when I get the chance to take one. It’s almost car season here in New England. Soon enough I’ll meet up with my buddy for a cruise night or car rally and will get a video clip to share.